I made a thing. Now I’m making a geeky thing. 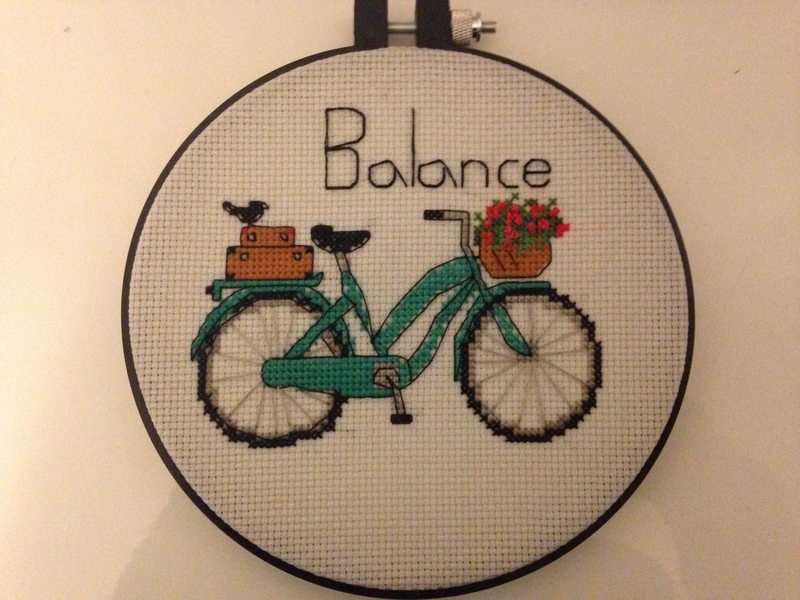 I mentioned a while ago that I wanted to learn to cross stitch. Well, I have! I bought a kit and made this silly bicycle. It was a good kit, in that it taught me the basics of cross stitching including three different stitches and how to count stitches from a pattern. And I’m really proud of myself. I still don’t feel quite ready to make my own pattern yet, though, so I bought an Adventure Time pattern from Etsy. I’ll post the details of the pattern when I post a picture of my finished project. But it’s showing me what a home-designed pattern looks like, and that’s giving me ideas about the cross stitch I want to make. I like that I can design it on the computer and then use the pattern I make to make the final product. It means all the guess-work will be on the computer, where I can fix what I want to fix before starting the actual project. It’s fun making things from other people’s patterns, and I’m excited that I’ll be able to use this new skill to make something completely original, too. But don’t worry. It will be inspired by something truly geeky.